It is a new and smaller version of the casa series. Casa petit is an evolutive cot, this time starts with a cradle, and adapts into a full size crib. The crib on wheels is easier to carry from room to room making it easier for moms while they feed and sleep. Newborn Up to 4 months. 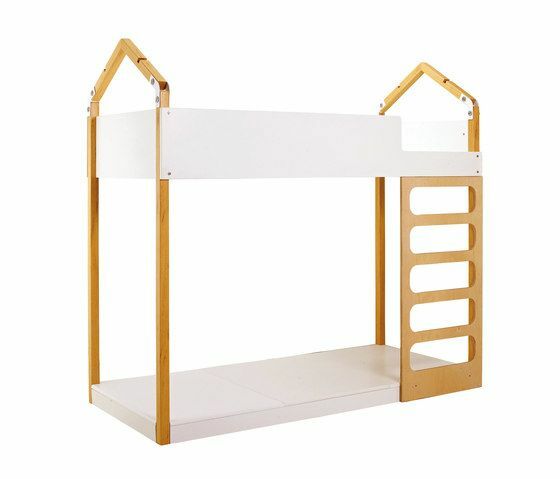 CASA Collection starts with a cradle, turns into cot, then into a single bed and finally to a bunk bed. Shaped as a house, is an adaptable bed which fits into nurseries, toddler rooms as well as teen rooms. Starts as a crib, there is a choice of a seat, or chest of drawers which completes this piece. The Gaea Hypothesis proposes that our planet functions as a single organism that maintains conditions necessary for its survival.